As a seminal event in late twentieth-century American history, the assassination of President John F. Kennedy has permeated the American consciousness in a wide variety of ways. His death has long fascinated American writers, filmmakers, and artists. The Kennedy Assassination offers an authoritative, critical exploration of the many ways the event has been constructed in a range of discourses. The book looks at a variety of historical, political, and cultural attempts to understand Kennedy's death. Representations include journalism from the time; historical accounts and memoirs; official investigations, government reports, and sociological inquiries; numerous conspiracy theories; novels, plays, and other works of literature; the Zapruder footage; and photography, avant-garde art, and Hollywood films. 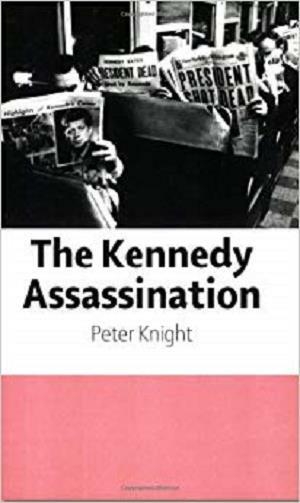 "Peter Knight's book on the Kennedy assassination is the best available source we have on the most symptomatic event of postwar American history," says Patrick O'Donnell, author of Latent Destinies: Cultural Paranoia and Contemporary U.S. Narrative. "Encyclopedic in scope, elegant and clear in its execution, wide-ranging in its assessment of the history and representational aftermath of that dark day in Dallas, this will be the 'go-to' book on the Kennedy assassination for some time to come."